Why would I need self storage in No Lauderdale, FL? There are a variety of reasons why you might need self-storage in No Lauderdale, FL. How much is a storage unit in No Lauderdale, FL? The cheapest storage unit in No Lauderdale, FL is $69.00 per month. What size storage units do you have available in No Lauderdale, FL? In No Lauderdale, FL we have sizes that range from 5'x5' to 10'x30' to suit your storage needs. How much is it for a 5'x5' storage unit in No Lauderdale, FL? The cheapest 5'x5' storage unit in No Lauderdale, FL is $69.00 per month. North Lauderdale is a culturally-diverse city in southeastern Florida, located just a short drive north from Fort Lauderdale. The city has been steadily growing since its incorporation, despite its small geographical footprint of just over 4.5 square miles. North Lauderdale was officially incorporated in 1963 and was mostly just farmland at that time. Seeing the area for what it could be, well-known architect Morris Lapidus started planning a city, referring to it as "The City of Tomorrow." While Lapidus was a famed hotel architect at the time, having created several beloved hotels on Collins Avenue in Miami Beach, North Lauderdale was his first foray into creating a city. The development boom of the 1970s brought the promise of affordable, single-family homes to the city, and thousands of people moved to North Lauderdale to enjoy the beautiful views and the convenient location. Throughout the late 20th century and into the 21st century, the city grew exponentially, leaping from just over 18,000 people in 1980 to more than 40,000 in 2010. One of the most distinct characteristics of North Lauderdale is its extremely diverse population. It's home to people from all over the world, including the site of the country's largest populations of Colombian, Haitian and Jamaican people. This culturally-rich population lends a special sense of character to North Lauderdale. Within this compact city you'll find plenty of family-friendly spots and activities. Athletic programs provide a number of options for both children and adults, ranging from cricket and baseball to soccer and T-ball. The Jerry Resnick Aquatic Center has swimming pools, a water playground for young children and two large water slides. Thanks to the warm Florida weather, you can enjoy the facility from March through the end of October. A community garden and a local library are two more of the many recreational amenities you'll be able to enjoy as a North Lauderdale resident. Public schools in North Lauderdale are part of the Broward County Public School District. Utilities: The city manages water and sewer services, while Florida Power & Light (FPL) or Florida Sunbelt Electric Co. supply residential power. Garbage and Recycling: If you'll be living in a single-family home, you'll receive two 96-gallon bins for weekly collection of trash and recyclables. Transportation: The city offers senior citizen shuttle services that provide door-to-door transportation. There's also a network of bus routes that passes through North Lauderdale, providing access to many surrounding cities. 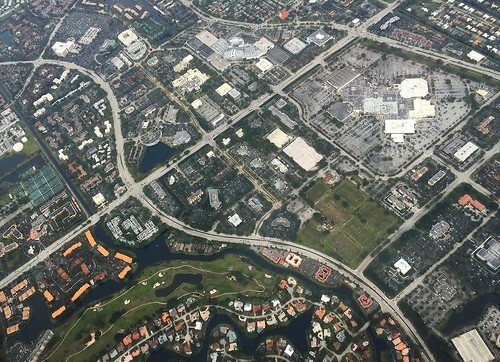 North Lauderdale remains a relatively affordable part of the larger Fort Lauderdale area, making it a popular choice for city commuters looking for a home base. Because the city covers such a small area, the housing market can be somewhat limited in terms of options. Our lowest priced units in No Lauderdale, FL average $69.00 per month. 69 people have reserved units in No Lauderdale, FL in the past 30 days. There is 1 location within No Lauderdale, FL's city limits. There is 1 location in No Lauderdale, FL that offers AC and Heating features.